Every time we look at a warranty registration and the new Kassel & Irons roof owner says that the major motivating factor for their purchase was the product’s beauty, we smile. And, that’s what most of our customers tell us. Fact is, we all care about how our homes look. When we can make them even more beautiful, we like that. Our product designs have been developed to take even a “ho-hum” home and make it the pride of the neighborhood. The transformation is huge. Neighbors and passers-by take note and will extend compliments to you. And, like how we smile when we read our warranty registrations, you will smile each time you pull into your driveway. The longevity of steel roofing is well known. Chances are that you can even drive through the historical district of your own community and see steel roofs dating to the early 1900s. While those old steel roofs did require periodic re-coating, our multi-layer baked-on PVDF chemistry finishes give you a leg up on things with colors that will stay beautiful for 40 years or even longer. Kassel & Irons roofs are truly designed to be the last roof on your home. While manufacturers of temporary roofing may depend upon “planned obsolescence” to fund their business in the future, our company continued to enjoy years of great success just meeting the needs of homeowners who are frustrated with the short lives and ordinary looks of traditional roofing materials. Far too often, we hear from metal roof customers who, up until the time their roof was being installed, did not realize it would have hundreds of exposed fasteners, nor the risk posed by each individual screw. Our KasselWood and KasselShake systems are both designed with interlocking panels and hidden fasteners top create a long-term weathertight roof. All of our coatings are multi-layer PVDF chemistry. These are the highest quality architectural coatings available today. Additionally, our Quality Assurance department works closely with our metal and coatings suppliers to ensure that all raw materials consistently meet our exacting standards. We do not leave to chance whetehr you receive a quality roof. Our KasselWood available colors include three “Cedar” print coats for a weathered, variegated appearance on the roof. Our KasselShake is available as an option with our proprietary ThermoBond textured PVDF coating. This powder finish is electrostatically applied to the standard coated product and baked to create a very tough, scratch-resistant finish. We have several standard colors available but can also do custom blends and custom applications to create a roof that you uniquely design. In addition to concealed fasteners, our tough steel shingles interlock on all sides for optimum wind resistance. Our customers receive our 120 mph wind warranty. Additionally, our products carry the UL 2218 Class IV Impact resistance rating. Class IV is the highest rating. The textured panels resist and even mask hail indentation and are warranted to not chip or leak due to hail. Interlocking steel roofing offers the greatest protection against fire. Our non-combustible panels will not ignite from airborne sparks. Additionally, a low weight steel roofing system does not pose the cave-in threat posed by heavy tile roofs in the event of an interior fire. The integral airspace between the KasselWood and KasselShake panels and your home’s roof deck acts as a thermal break, virtually stopping heat transfer by conduction. This means that, during hot summer weather, the sun’s heat is kept outside rather than allowed to pass into your attic. 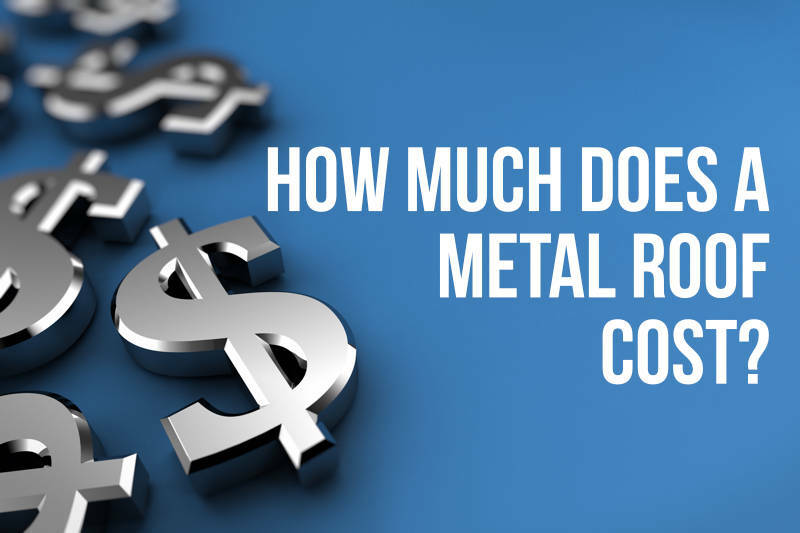 Many other metal roofs, which sit right on the roof deck, help to conduct heat into the attic space, driving up air conditioning costs. Additionally, many of our coatings have reflective pigment for enhanced energy efficiency even with a dark colored roof. Our steel roofs weigh less than one pound per square foot. This compares to an average of three to four pounds for asphalt shingles and as many as twenty pound for tile roofing. A low weight roof helps protect a building’s integrity. This becomes especially critical with older and historical structures. 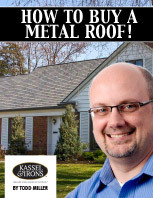 Additionally, your Kassel & Irons steel roof can probably be installed right over your existing shingle roof. The positive environmental impact of a Kassel & Irons roof goes beyond just sustainability, energy efficiency and the ability to be installed over old shingles. It also includes the fact that our steel includes 35% recycled content. We all haul our recyclables out to the curb each week but yet what can we, as consumers, purchase for our homes that has high recycled content? A steel roof is a perfect answer to that question. The strength of steel is something we trust all the time in our lives. It makes sense for roofing as well. Our Roofing Research Helper contains easy-to-use tools to help you find the right roof for your home.